"In the meanwhile, no person should suffer for not getting the Aadhaar card in spite of the fact that some authority had issued a circular making it mandatory and when any person applies to get the Aadhaar Card voluntarily, it may be checked whether that person is entitled for it under the law and it should not be given to any illegal immigrant." How safe is the UID? How safe is your money in the banking system with UID? 2. Money transfers from Aadhaar accounts will not be audited if there is less than Rs10 lakh transferred in a year. This means subsidy, bribes and black money may go to shell accounts that may never be traced! How protected are your entitlements and rights with UID? How legal is the UID? Another aspect has come up. I understand that the subsidy that is credited to the account is taxable. Hence, 20 to 30 % tax will be deducted, which would come to about Rs. 630 to Rs. 930 per year, depending on your tax bracket! In today's Marathi news paper, "Sakal", there is a letter to the Editor that direct bank transfer of subsidy portion is actually punishing the poor and is meant to benefit the rich. Here's how! It is difficult for a 'poor' person to shell out Rs. 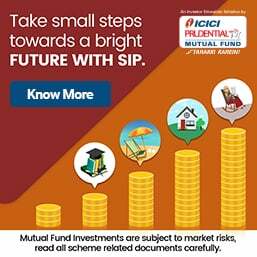 1000/- at one go for a cylinder and then wait (indefinitely?) for the subsidy to be credited to his or her account. The problem becomes acute if the cylinder comes at the end of the month because most are living a hand-to-mouth existence. This is a very valid point, which has not been brought out so far. It is a stupid idea to link subsidy payments to accounts linked with the Aadhaar numbers..in all likelihood, it will lead to a scam of huge proportions. And why should the common man be made to run around to avail the subsidy which is part of what the Govt decides as legitimate to him.. more corruption in the offing with this facility. It fails anyone's comprehension as to what was wrong with the way subsidies were paid all these days..has this been only to accommodate scamsters who would innovate the way to pump money out of government coffers? Current systems involve issuance of subsidy by either cash or cheque via some Govt office where cash is to be distributed. In cases like LPG they are directly paid to the distributor. Problem with cash/cheque subsidies given currently is, unless you give some "babu" a cut of it, he will make sure you won't get it. For subsidies like LPG, people buying it at subsidised rates and selling in black or using it for commercial purposes are the problems. These things can be drastically improved if Govt transfers various subsidies directly to the recipient. True, there can be loopholes in this, but it is still far better than the current systems. Mr Saraph - your article on Aadhar is good, but may I suggest that the section on fallatious claims of UID should each have an explanation for each of the statements. It would make the matter clear to many people. Biometric uniqueness could be a misnomer. That doesn't necessarily make UID useless. At any point of time non-matching bimetries outnumber matching ones by orders of magnitudes. In other words, while biometry may not be enough to prove 2 persons identical, on great many occasions it proves two persons to be non identical. Let us leave the uniqueness debate to theoreticians. 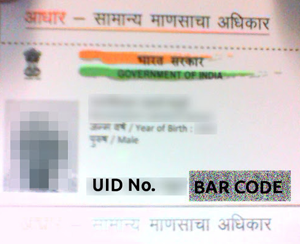 I like to look at UID as an extension of the PAN notion. True, there could be implementation issues, which does not make the basic idea flawed. very apt title to the article. Aadhar is actually making people Niradhar. i would like to give you a live example. My father received a SMS stating that his Aadhar no (actually a wrong one, not his) has been linked to his HP LPG consumer no (again a wrong one). The whole UID initiative should be scrapped. Very unfortunate that a person like Nandan Nilekani chaired this project and created a complete mess of it. Thanks Dr. Saraph for sharing all critical information, including myths about this dubious project of the UPA govt. From the very beginning, the Project had no legal or statutory approval, yet the govt is believed to have spent over Rs. 50,000 crores on it already. Wish the SC had intervened earlier to save this precious public money. Anyway, now that the SC has ruled that Aadhar is not mandatory to avail of govt welfare services, it's better NOT TO enrol for it, until things become more transparent. I believe this entire Aadhar project is someday going to be exposed in a mega-scam, much larter than the 2G spectrum one. The above article lacks indepth study. It is assuming the third party is using and misusing the common people's identity. The biometric data collected by the the third party send directly to the UIDAI SERVER which is located in Bangalore. The server room can survive the heavy bombing. Actually Indians are the enemy of Indians. The adhaar project is a good move and it will empower Indians to run before the world. I am afraid that the Indian people been misguided and used by the hoarders and burglars. It will definitely remove the fake and duplicate identities, so we can save crores of rupees. The people those who are aginst this project is in the side of loosers (I mean they might be loosing money). If Yaswant Sinha wants to get an American visa, he needs to submit his biometrics to American embassy. In our context everyday Every single person giving their identity to unreliable persons for services in day to day life. But through adhaar KYC the service provider deals with adhaar server which is heavily encrypted and it gives only yes or no answer and never share the biometric data. Hey Iconoplast...try providing answers to the two simple questions I asked (I mean if Nandan has enlightened you guys only). Three scholars who have provided the academic foundation for the biometrics industry, particularly in the Western world, say that the level of uncertainty in biometrics is so great that tests prove nothing. The academicians have, in a paper titled "Fundamental issues in biometric performance testing: A modern statistical and philosophical framework for uncertainty assessment", argued that the level of uncertainty in biometrics is so great that they cannot be used to predict how well the technology will perform in the real world and therefore this cannot support a valid argument for investment in biometrics. The academicians are James L Wayman from San José State University, Antonio Possolo, head of the statistical engineering division at the US National Institute of Standards and Technology (NIST), and Anthony J Mansfield from UK National Physical Laboratory, all recognised as stalwarts of the biometrics industry. However, the Unique Identification Authority of India (UIDAI), which has embarked on a tagging programme that is based on biometrics, is silent on the report. The institution has, till now, been quick to associate with other academic groups. 1. How many contractors, sub-contractors collect and share American embassy data? I am afraid the people should scrutinise the Aadhaar order carefully and study Justice Puttaswamy's PIL petition. There are a number of other aspects. Apart from undermining the very basis of democratic functioning by the creation and use of an ID for electoral registration that is not a proof of citizenship, the Aadhaar number seeks to violate the citizen’s right to life and liberty by linking it not only to subsidies but also to rights and entitlements e.g. marriage registration, property documents registration, salaries etc. Further, in so doing, the government is creating a vertical divide as those who choose not to be part of the system will be the modern-day equivalents of outcasts only to be left out and left behind. And the worst hypocrisy is that when the scheme commenced, Aadhaar Enrolment / Correction form started with the following statement, "Aadhaar enrolment is free & voluntary..." This morning when I downloaded the form from UIDAI website, this particular statement is missing! To open an Aadhaar-related bank account, the usual need for physical presence is done away with so is KYC. Banks have thus refused to bear any liability for frauds related to Aadhaar accounts. Further, India has less than 32,000 rural banks and almost 600,000 villages while this entire scheme is based on direct bank transfers. Recently, newspapers have reported rampant corruption in the VVVIP constituencies of the royal family in Rai Bareilly and Amethi ranging from Rs. 20 to Rs. 50 per Aadhaar enrolment form. DBT has failed in these two constituencies. What would be the fate of the ordinary constituencies where the rest of the population resides? There is no doubt that the real intention of pursuing Aadhaar is not direct transfers to the poor but some thing related to the recent ordnance sent to the President but squashed by the Crown Prince. On the face of it, the idea to have a unique identity seems good. Not an exact anology, but imagine life without PAN today... PAN is a good example of how the IDs help. Now Adhar is much more complex, expensive, uses biometry, has privacy and security issues etc. and arguably has a lot more other flaws. These flaws should be brought up, debated and resolved. If your articles debate the premise separately and the implementation flaws separately, they will be much more balanced. Precisely. Why do you want an additional number when you have so many other identity documents and spend hundreds of thousands of crores? Aadhaar number can ensure money in your bank account and that Aadhaar number is not secure and your bank account is opened on the basis of an insecure number and the RBI has said that Banks will not take any liability in case of fraud due to an insecure number. Will you feel comfortable especially when that number also has all your bio-metrics as well as your personal data? World-wide losses of identity cards can go up to 20 %. If you are dependent on one number for all your entitlements including registering of property documents and even your marriage, imagine the havoc it will create! And isn't your privacy compromised? We have written to the Cabinet Secretary giving an exhaustive analysis in July 2013. We haven't had even an acknowledgement. We shall now use the RTI Act to get government's point of view. 1. Explain "fallacious UID Premises". Why do you think them to be so. 2. Conduct an interview with Nandan Nilekani and let the nation hear his views on above points. You have raised points, which bother the aam aadmi. I have studied the references at the end of the article and find that the doubts do get resolved. Justice Puttaswamy's petition in the Supreme Court read with the Supreme Court judgment also throw light on our doubts. If you are one-to-one with Nilekani, please advise him to talk to us. He was invited for a panel discussion at Pune. He refused. The core issue is: Will efforts to undermine the fundamental right of Indians to move and transact freely around the country and to live without constantly having to prove who they are, succeed or fail? Ever wondered as to why bankers are immensely interested in biometric identification and verification of citizens? Biometric identification implies that movements of present and future generations of citizens are tracked like those of bacteria under a microscope. This exercise of creating a centralised ‘online database’ of biometric information of Indians is unfolding under the supervision of Planning Commission’s Nandan Nilekani and Home Ministry’s C Chandramouli. The core issue here is: will efforts to undermine the fundamental right of Indians, to move and transact freely around the country and to live without constantly having to prove who they are, succeed or fail? What is ironical is that while it is inevitable that no centralised electronic database of biometric information can be made leak-proof in the post Wikileaks and Edward Snowden world, bankers, biometric technology companies and their collaborators are marketing it as an answer to increasing demand for identity proof and identity protection from citizens. In 1998, National Biometric Test Centre, San Jose State University set up by the Biometric Consortium, which is the US government interest group on biometric authentication was asked to testify to the USA’s House Committee on Banking and Financial Services hearing on “Biometrics and the Future of Money”. This testimony of 20 May 1998 was reprinted under the title, “Biometric Identification and the Financial Services Industry”. This centre emerged from a meeting of Biometric Consortium held in 1995, at the FBI training facility. This test centre has defined biometric authentication as “the automatic identification or identity verification of an individual based on physiological and behavioural characteristics”. Whatever is happening in India is an exercise in imitation of what was attempted in the US. There was bitter opposition to what was attempted in the US through the REAL ID Act of 2005. The US Senate never discussed or voted on the REAL ID Act specifically and no Senate committee hearings were conducted on the REAL ID Act prior to its passage, exposing its undemocratic character and the Bill's proponents avoided a substantive debate on a far-reaching piece of legislation by attaching it to a "must-pass" bill. Barack Obama categorically opposed it during the 2008 presidential election campaign. As of 2008, all 50 states have either applied for extensions of the original 11 May 2008 compliance deadline or received unsolicited extensions. As of October 2009, about 25 states from the US have approved either resolutions or binding legislation not to participate in the program. Among other concerns they have argued that it infringes upon states’ rights. With Janet Napolitano, a prominent critic of the program as the head of US Department of Homeland Security (DHS), the future of the law appears sealed. On 5 March 2011, the DHS postponed the effective date of the REAL ID Act. Through Document Number FR 5-08, DHS announced that US states would need to be in compliance with the REAL ID Act by 1 December 2017. Bills have been introduced into US Congress to amend or repeal it. The controversial, $4 billion REAL ID initiative was meant to provide secure licenses in the hands of 245 million Americans by 2017. The new proposal, Providing for Additional Security in States’ Identification (PASS ID) Act is expected to eliminate many of the more burdensome technological requirements. The BILL is meant to repeal title II of the REAL ID Act of 2005 and amend title II of the Homeland Security Act, 2002, to better protect the security, confidentiality, and integrity of personally identifiable information collected by states when issuing driver’s licenses and identification documents, and for other purposes. It is surprising as to why Government of India, which has been keen on emulating REAL ID Act when it was adopted in the US, has developed cold feet in following the same example when it is practically abandoned there. In India, when one looks at the definition of the “biometrics” which “means the technologies that measure and analyse human body characteristics, such as ‘fingerprints’, ‘eye retinas and irises’, ‘voice patterns’, ‘facial patterns’, ‘hand measurements’ and ‘DNA’ for authentication purposes”, as per Information Technology (Reasonable security practices and procedures and sensitive personal data or information) Rules, 2011 under section 87 read with section 43A of Information Technology Act, 2000, it becomes clear that the plan of data collection does not end with collection of finger prints and iris scan. It goes quite beyond it. The fact remains biometric data like finger print, voice-print; iris scan and DNA do not reveal citizenship. Use of biometric technology, an advanced technique for the identification of humans, based on their characteristics or traits is unfolding. These traits can be face, fingerprint, iris, voice, signature, palm, vein, and DNA. DNA recognition and vein recognition are the latest and most advanced types of biometric authentication. Biometric technology is being deployed in the application areas like government, travel and immigration, banking and finance, and defense. Government applications cover voting, personal ID, license and building access whereas travel and immigration use biometric authentication for border access control, immigration and detection of explosives at the airports. 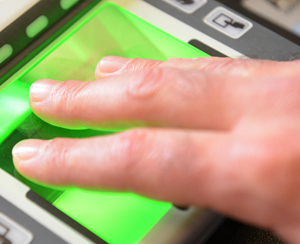 Banking and finance sector use biometric authentication for account access and ATM security. The International Biometric Industry Association (IBIA) has listed potential applications including voter registration, access to healthcare records, banking transactions, national identification systems and parental control. Indeed, “Biometrics are turning the human body into the universal ID card of the future”. Unmindful of dangerous ramifications of such applications, if citizens and political parties concerned about civil liberties do not act quickly enough, biometric ID’s are all set to be made as common as email addresses without any legal and legitimate mandate. Biometric information includes DNA profiling wherein biological traits are taken from a person because by their very nature are unique to the individual and positively identifies that person within an ever larger population as the technology improves. In its 13 April 2013 report titled ‘Regional Economic Outlook, Asia and Pacific Shifting Risks, New Foundations for Growth’ as part of World Economic and Financial Surveys, the International Monetary Fund (IMF) notes that “India is planning to enhance its existing cash transfer program and identification system in connection with the ongoing subsidy reform”. Such claims are figments of IMF’s imagination unless the total estimated budget of the UID/Aadhaar project is disclosed. It is irrational for anyone to reach inference about benefits from any project without factoring in the costs, but World Bank (WB) Group is doing it and endorsing similar acts by UIDAI. Not surprisingly, having applauded both biometric identification and cash transfer, the WB group President Jim Yong Kim underlined the importance of the subject in his opening remarks at the Bank's Development Economics Lecture series on 24 April 2013 in Washington. 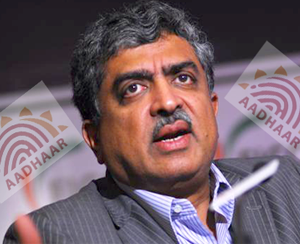 Nandan Nilekani, the chairman of Unique Identification Authority of India (UIDAI) and former chairman of Infosys Technologies also spoke there about the unique system for the biometric identification of Indian residents. It may be recalled that Robert B Zoellick, the then World Bank Chief met the chairman of the UIDAI on 4 December 2009. What transpired at these meetings is not in public domain. In the aftermath of these meetings what is least talked about is that the e-identity and UID/Aadhaar-related projects are part of World Bank’s e-Transform Initiative formally launched on 23 April 2010 for converging private sector, citizen sector and public sector and Interpol’s e-identity database project. 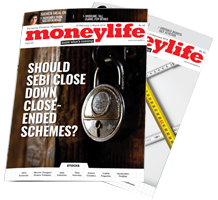 This, along with the then union finance minister, Pranab Mukherjee’s announcement on January 2011 voluntarily seeking full-fledged Financial Sector Assessment Programme by IMF and the World Bank, merits attention of the legislatures and concerned citizens. On April 2010, L-1 Identity Solutions Inc, which has now been purchased by biometric technology company Safran group, a French corporation signed a Memorandum of Understanding (MOU) between L-1 and the World Bank was signed as part of the launch of the initiative at a World Bank Spring Meeting event attended by many developing country ministers of finance and communications. It claimed that this collaborative relationship with the World Bank is meant to improve the way governments in developing countries deliver services to citizens as part of the launch of the World Bank eTransform Initiative (ETI). The World Bank's ETI seeks to leverage Information and Communication Technology (ICT) to build a knowledge sharing network that helps governments of developing nations to leverage the best practices of practitioners like L-1 and others to improve the delivery of social and economic services. The knowledge sharing network will focus on areas such as electronic Identification (eID), e-Procurement, e-Health and e-Education; areas vital to promoting the participation of citizens in democratic processes, such as voting, and helping undocumented citizens get access to health and welfare programs. The World Bank is currently funding 14 projects related to e-government and e-ID around the world. Are citizens supposed to believe that the World Bank Group is working to ensure that India's national interest and its citizens’ rights are protected? "The speed and precision with which developing countries administer services is dependent upon many factors, not the least of which is the ability to verify the identities of those receiving services," said Mohsen Khalil, Director of the World Bank's Global Information and Communication Technologies Department in a statement. Robert V. LaPenta, Chairman, President and CEO of L-1 Identity Solutions had said, "We believe that identity management solutions and services can make a significant contribution to society and undocumented citizens in developing countries, bringing them out of anonymity and helping establish their place and participation in society and affirming their rights to benefits they are entitled to receive as citizens." It has been underlined that the “game-changing UID applications in payments, savings, and other tools for driving efficiency and transparency” using “already created one of the world's largest platforms (that is) transforming not only authentication but also everything from government payments to financial inclusion”. In effect, it is a case of biometric profiling by the IFIs who have vested interest in surveillance of financial transactions. In his book ‘Imagining India’, Nilekani refers to Bank’s economist, Hernando de Soto's book 'The Mystery of Capital: Why Capitalism Triumphs in the West and Fails Everywhere Else' to argue that national ID system would be a big step for land markets to facilitate right to property and undoing of abolition of right to property in 1978 in order to bring down poverty! In the post-capitalist and post-socialist era, such assumptions of triumph have been found to be deeply flawed. In fact, even the title of the books sounds weird in the post-financial crisis era. In the Parliament, on 23 April 2013, Abdul Rahman, MP asked the Union Minister of Home Affairs about the percentage of the population covered under UID (Aadhaar), National Population Register (NPR) and Voters Identity Card, so far and the areas where information provided in these UID (Aadhaar), NPR and Voters Identity Card overlap; and the steps taken to avoid overlapping of the information contained therein. The reply was given but what it did not disclose is that the overlapping is deliberate because the real motive of the entire exercise is to ensure convergence of all pre-existing databases and the databases under creation as envisaged by the IFIs. In his written reply, RPN Singh, Union Minister of State in the Ministry of Home Affairs informed the Parliament, “As per the Electoral Roll data 2012, the Election Commission of India has 75.84 crore registered general electors in India.’ He admitted that “the five demographic fields Name, Address, Gender, Age, Name of father/mother/guardian and the photograph are common.” It is not common as it provides the route for convergence. It does not appear to be a coincidence that France-based Ronald K Noble, Secretary General, INTERPOL, and world’s largest police organisation too has called for global electronic e-ID identity card system. When Nilekani was asked about the relationship of UID/Aadhaar with the National Intelligence Grid (NATGRID) in an interview by Hard News magazine, his reply was “No Comments”. Isn’t global electronic e-ID identity card system proposed by INTERPOL, e-Identity project of World Bank Group and UID/aadhaar related databases linked? Is “No Comments” a convincing answer? Biometric documentation of undocumented citizens in developing countries which is underway in some 14 developing countries under ETI is aimed at bringing them out of anonymity, without any legal mandate. Such documentation of sensitive data of citizens facilitates bullying and invasiveness by the state and international financial institutions. Identifying citizens biometrically is an exercise in empire building by ‘commercial czars’ and turning citizens in to serfs. Modern day Jaichands, Mir Zafars, Jeewan Lals and Mirza Ilahi Bakshis are collaborating to help empire builders to earn myopic rewards through attempts to compromise citizens’ sovereignty for good. The journey of biometric identification and numbering of Indians commenced a year after the first war of India’s independence was brutally suppressed by the army of British East India Company, with the help of collaborators like Jeevan Lal, Mirza Ilahi Baksh and Rajab Ali. The first systematic capture of hand images for identification purposes "was" initiated by William Herschel, a civil servant in colonial India in 1858. It is noteworthy that in 1898, Edward Henry, inspector general of the Bengal Police established the first British fingerprint files in London. Referring to the British victory over Indians in 1857, William Howard Russell of London Times wrote: “Our siege of Delhi would have been impossible, if the Rajas of Patiala and Jhind (Jind) had not been our friends”. The seize of the database of personal sensitive biometric information of all the Indians would have been impossible but for the help of ‘commercial czars’ like Nilekani and the complicity of civil servants like C Chandramouli, the Census Commissioner and Registrar General of India responsible for biometric National Population Register (NPR). Occupy Wall Street Movement has a pithy slogan: ‘Empire is on the Wall Street’. The exercise of biometric identification of citizens is a comprehensive intelligence initiative with financial surveillance at its core. The personal sensitive information like biometric data that is collected in myriad disguises and through numerous tempting claims about its benefits is going to be purchased by banks and other financial institutions to be correlated with other data, and used for purposes that was neither agreed nor foreseen. This data is bound to be stolen or illegitimately released, exposing citizens to risks of profiling, tracking and grievous embarrassments as has happened in the case of Greece, Egypt, Pakistan and UK. So far legislators and citizens have failed to bring World Bank Group and other international financial institutions under legislative oversight. A situation is emerging where if the pre-existing databases like electoral database, census and other databases which are under preparation is converged, these unaccountable and undemocratic financial institutions will never come under parliamentary scrutiny. The identification and surveillance technology providers are appear to be aiding an empire of a kind where every nano activity is under the vigilance of the Big Brother. The flawed assumption of Government of India that the benefits of biometric systems are sufficient to warrant use of biometric technology for financial transactions is misplaced. The citizens who are succumbing to such presumption are doing so because they are not informed about potential risks. The blatant use of financial rewards akin to bribes to promote citizen’s participation in biometric identification programs sets a very harmful precedent as it violates the principle of free and informed consent. Informed citizens and democratic legislatures can respond to it only through non-cooperation, civil disobedience and voting against parties which support the banker-biometric technology vendor nexus. Opponents of Aadhaar believe that snooping / surveillance cannot be done without Aadhaar. Then how Narendra Modi did the snooping of a girl in 2009 when Aadhaar did not exist? Intention of powerful matters a lot! A facetious reply! Can't all that you describe not be done with a PAN and other existing documents if honestly systematized, though things like black money and 'onion-hoarding' are surely done hand-in-hand with players at the top? Why implement without due parliamentary approval, which was in fact refused by the pertinent Standing Committee? Why issue Aadhaar to illegal immigrants in the first place?! Why store all Aadhaar data on servers conveniently accessible to the US? Has the Aadhaar architecture been tested by any credible agency for security, fidelity, repeatability so that it can be trusted for a population of 1.25 billion and more?! Anyhow, let's wait for the new govt, parliament and the Supreme Court to ratify Aadhaar! Just how do you spell "Consent"? Look, leaving aside all objections, one person truly got to the soul of it. "13. Onion Hoarders will get tracked easily." All this business of privacy etc are issues raised by people who have no need of an UID, as they are already enjoying all the benefits of the services sector, such as banking etc. How does one deliver banking and other services to those who have no residence proof or any other ID? The UID was never conceived as a proof of citizenship, only as a proof of identity. That is, it proves you are whom you claim to be. And this is what the bankers require as a minimum to be able to offer financial services, and the government requires to be able to reduce graft in the welfare delivery schemes. I see no reason to be paranoid if the bankers or the government knows where I am located or the state of my finances, from time to time, (they already know from other sources of information)and most certainly none of those who are currently excluded care one way or the other. Comparing the issues relevant in the USA with India at this stage of our development is being elitist. The reality is- Our much vaunted IT companies are not able to win lucrative commercial contracts, as majority companies' business model is based on labour arbitrage & since the foreign IT companies have themselves opened offices in India, their one advantage, which is the reason for the success of their model is lost. Hence, they are forced to aim for low hanging fruits, with aid of crony capitalism. And our SECULAR Govt, with the aim of maximising minority voters is actively helping illegal immigrants acquire documents to legitimise their citizenship. As an aside, these illegal immigrants are also eligible for all the govt subsidy schemes, as they are supposed to be INDIAN CITIZENS. Hence, we can safely say that the sole reason for existence of a political party in India is to win subsequent elections & perpetuate their rule. 1. IT Cos no longer have the labour arbitrage advantage, so they are now influencing the govt to award lucrative Indian contracts. I don't think this is valid, because the Indian IT sector has a turnover of USD 100 Billion, with exports of 70% in 2012. Companies like TCS are way ahead of foreign companies such as Converges, IBM etc who are also working from India, and are winning contracts in the US, and other countries, against the best international competition, by billing the client on the effectiveness and cost savings of their services, and not the billable hours of their engineers working on the project. It is something like Microsoft billing you on the cost savings you have achieved by using, say the MS Office program, rather than the cost of the software itself. And this is achieved by shear competence and not by labour arbitrage alone. 2. UIDs are meant to grant illegal immigrants citizenship. Again this may not be correct, as the UID is NOT meant to be a proof of citizenship, but is a proof of identity, ie. this only proves you are who you claim to be. I don't know what you mean by illegal immigrants. By and large there are citizens from 2 countries working in India without valid papers- Nepal and Bangladesh. Sometimes Bengali Muslims from Bengal are confused with Bangladeshis, and we seem to resent their presence, while there seems to be no back lash against the Nepalis. Is it because they are largely Hindus? 3. Muslims are being appeased for votes. Muslims form less than 15% of the population, and I cannot see how they have been appeased. If there was a bias in their favour, then they would be better educated, wealthier, and their localities would have better infrastructure, like roads, water, electricity etc. And they would have govt jobs in excess of their population ratio. None of these are true, so how is there any appeasement? On the other hand the politicians have tried their level best to ghettoize them by inducing fear through periodic violence, so that they can be driven to the folds of some political party who they think would keep them safe. Muzaffarnagar being a case in point. Religious polarization is the worst kind of politics there is, and as this is an emotive issue, all other issues such as development, foreign policy, military strength, graft and corruption etc. get drowned out and the politicians then don't have to work for our vote, and show tangible results. We are at fault for letting the politicians get away with such divisive emotive issues for the past 65 years, but for how long should we keep falling for such emotional traps? The subject was UID- sorry to have transgressed. How people comment without even knowing or understanding what they are commenting! 1. Aadhaar is not for Indian CITIZENS. It is for all RESIDENTS. (You can anytime check Govandi, Cheeta Camp area in Mumbai to see how many Bangladeshi have Aadhaar) And if it came into existence under the pretext of providing ID to underprivileged or unbanked population. WHY then the Govt is making it MANDATORY for all? 2. This shows complete lack of knowledge on ground realities, especially from the rural areas. There are no banks, no branches and you expect somebody on daily wages to skip his work for a whole day to go to the bank (mostly at Taluka place) to get the miniscule subsidy money? 3. To reduce graft in welfare delivery system, you need to implement it with open mind. Chech how Jharkhand has improved its PDS system that promises foodgrains to every eligible person. 4. Exact point. PSU Banks opened 30 lakh basic accounts with zero balance for the underprivileged population. ALL these accounts are dormant and there is not a single transaction for over a year. 5. Your elitist US does not have biometric based SSN or ID for social welfare system or welfare delivery system. Govandi and Cheeta camp may well have many Bangladeshis, but if the way to identify them is by language, then it may be uncharitable to label every one who speaks Bengali as foreigners, and that includes Bengali Muslims. Our domestic helpers sometimes have had to wait for months, for their relatives to travel to their village, to be able to send money home. They find the PO money order system expensive and sometimes unreliable. A bank account and an ATM card solves these issues efficiently. We have also had domestics save money with us, in order that their money is not lost, stolen or mis-spent. These are classic banking services which they can avail of at least in cities. The last mile connectivity with remote villagers accessing banking is an issue, as you have mentioned, and these issues need to be sorted out. But the solution lies with resolving the issues rather than excluding these people from banking and other facilities altogether. Usage increases with familiarity. In Delhi you may spot many villagers shopping in malls, when even a few years ago they would hesitate to even enter the building. Finally, we may disagree on everything but we need not be disagreeable. The Supreme Court has ruled that the unique identification (UID) number or Aadhaar is not mandatory to avail essential services from the government. What is strange is all those ministries and departments that are making Aadhaar ‘mandatory’ are doing so on recommendations from a committee or group associated with Nandan Nilekani, the chief of Unique Identification Authority of India (UIDAI). This is pure conflict of interests as the UIDAI itself is maintaining that Aadhaar is 'voluntary' while its chairman is making sure that it is made mandatory to avail a number of services or benefits from the government. Gopal Krishna, member of Citizens Forum for Civil Liberties (CFCL), has sent a letter to prime minister Manmohan Singh, defense minister AK Antony who is also the head of the Group of Ministers (GoM) which oversees the issue of resident identity cards under scheme of National Population Register (NPR). Mr Krishna has also sent it to Montek Singh Ahluwalia, deputy chairman of Planning Commission as well as special invitee on the Cabinet Committee on UIDAI-related issues and who is also on the GoM on the issue of resident identity cards under NPR scheme, and Dr C Chandramouli, Registrar General and Census Commissioner of India. He said, "I submit that the Supreme Court has revealed that although the attached enrolment form of Aadhaar/unique identification (UID) number promises on top of the form that it is free and voluntary, several central ministries and uninformed state governments attempted to make it mandatory, in a manifest case of breach of citizen's trust." According to Mr Krishna, the Strategy Overview document of the UIDAI says that "enrolment will not be mandated" adding, "This will not, however, preclude governments or registrars from mandating enrolment". "It must be noted that Mr Nilekani headed several committees whose recommendations made Aadhaar mandatory," he said. 1) He is head of Technology Advisory Group on Unique Projects (TAGUP) that proposes "private company with public purpose" and with "profit making as the motive but not profit maximising". 2) He is head of Unique Identification Authority of India (UIDAI), which is functioning without legislative approval either at the centre or in the states and has signed contracts with companies that work with Intelligence agencies. "The list is not exhaustive. Mr Nilekani has many more identities as a shareholder and as a former head of a corporation," says Mr Krishna. Further, according to Mr Krishna, the 'rift between Ministry of Home Affairs (MHA) and Planning Commissions’, the UIDAI on UID and NPR was motivated and meant to take legislatures, citizens, states and media for a ride. Mr Krishna said, "...it was reported on 6 October 2011 that Gujarat chief minister, Narendra Modi wrote to the prime minister questioning the need for National Population Register (NPR) by Registrar General of India and Census Commissioner. Gujarat then stopped collection of biometric data for creation of the NPR." In his letter to the Prime Minister, Mr Modi raised objections over both the UIDAI, which is creating UID/Aadhaar number and Registrar General of India, which is creating the NPR, collecting biometric data. In his letter Mr Modi wrote, “…there is no mention of capturing biometrics in the Citizenship Act or Citizenship Rules, 2009”. In the absence of any provision in the Citizenship Act, 1955, or rules for capturing biometrics, it is difficult to appreciate how the capture of biometrics is a statutory requirement. Photography and biometrics is only mentioned in the Manual of Instructions for filling up the NPR household schedule and even in that there is no mention of capturing the iris”. After Gujarat stopped collection of biometric data, the then Union Minister of Home Affairs, P Chidambaram sent a letter to Mr Modi in August 2011, pointing out that creation of the NPR was a “statutory requirement” under the Citizenship Act, 1955, and “once initialised, (it) has to be necessarily completed”. The MHA had also requested the chief minister to instruct state government officers to cooperate in creation of the NPR. This was when the entire media, citizens and the political class was hoodwinked into believing that there was a rift between Mr Nilekani’s UIDAI under Planning Commission and Dr C Chandramouli’s NPR under MHA when Mr Chidambaram headed it, said Mr Krishna. Mr Krishna says, "It appears that Mr Modi chose to side with UIDAI in an apparent rebuff to Mr Chidambaram. Mr Modi kicked off UID/Aadhaar project in Gujarat on 1 May 2012 by giving his biometric information and enrolled under the UIDAI project. Strangely, Mr Modi did not object to his biometric identification under UID as he did with regard to NPR. Mr Modi did so despite the fact that Yashwant Sinha (BJP leader) headed Parliamentary Standing Committee on Finance that rejected the UID project and the UID Bill in its report to the Parliament on 13 December 2012. However, it may be noted that one sentence of its report appears to endorse biometric NPR. Is it a case of Mr Sinha was trying to side with Mr Chidambaram? It appears that Mr Modi has been taken for ride with regard to the UID/Aadhaar and Mr Sinha with regard to NPR as they failed to see through the strategy. Now Mr Chidambaram is wearing the hat of minister of finance. This is how both Mr Modi and Mr Sinha were outwitted by Mr Chidambaram." "I submit that Mr Nilekani met the then deputy chief minister of Bihar, Sushil Kumar Modi at Bihar Bhawan in New Delhi in August 2011 to ensure a centralized IT infrastructure for GST across the states through GST Network, a National Information Utility, a private company with public purpose having profit making as the motive but not profit maximising. This is meant to take away the sovereign function of tax collection from the state," Mr Krishna said in his letter. It is noteworthy that Election Commission’s website carries a power point presentation that concludes by stating ‘Makes us UID ready’. It has come to light that Union Home Ministry has sought a proposal from the Election Commission of India and the Unique Identification Authorityof India - apna csc, will ensure that UID-Aadhaar does not duplicate the data that is collected and used by the Election Commission. It appears that Shri Modi chose to side with UIDAI in an apparent rebuff to Shri Chidambaram. Shri Modi kicked off UID/Adhaar project in Gujarat on May 1, 2012 by giving his biometric information for his Aadhaar/UID number and enrolled under the UIDAI project. Strangely, Modi did not object to his biometric identification under UID as he did with regard to NPR. Modi did so despite the fact that Shri Yashwant Sinha headed Parliamentary Standing Committee on Finance has rejected the UID project and the find uid Bill in its report to the Parliament on December 13,2012. However, it may be noted that one sentence of its report appears to endorse biometric NPR. Is it a case of Shri Sinha was trying to side with Shri Chidambaram? It appears that Shri Modi has been taken for ride with regard to the UID/Aadhaar and Shri Sinha with regard to NPRas they failed to see through the strategy. Now Shri Chidambaram is wearing the hat of Union Minister of Finance. This is how both Shri Modi and Shri Sinha were outwitted by Shri Chidambaram. Govt acts only in distress, but Here the saying is that he should not head the Committee, but can be part of the Committee, expressing his point of view. Join Team NaNi.... NaNi for PM. Follow him on twitter @NNilekani. Nandan is only a technologist, with little or no idea about real life. He can only create technology (though, I doubt even that, since the authentication systems are not yet operational and name, photo, address can still not be authenticated). He doesn't know anything about the administration, laws, people or policies. AND, aadhar is for residents of India, (so illegal bangladeshis, pakistanis etc. have acquired aadhar) but is actually being used as a citizenship number. Giving Nandan the ropes of running the country's administration (which, in reality, is a vote bank creation scheme, without any semblance to anything to improve quality of life of an Indian) using aadhar is suicidal. Unfortunately, like all other mistakes of Manmohan, Indians have to bear this loss of thousands of crores of a unsuitable scheme. Administrative check is much less than required in our country.That is why many Pakistanis or bangladeshis enter India ,settle down,get ration cards,voter Identity cards etc.On this basis now they get Andhra cards.Some political parties are encouraging this practice instead of weeding out unauthorised people purely on vote bank politics. Secondly due to lack of proper check,foreigners come and stay here without valid passport or visa.Terrorists enter and get all types of identity cards like voter I'd,driving licence etc.Many of them indulge in illegal activities like smuggling ,drug trafficking and other terror related activities.The politicians are not bothered since they get benefitted directly or indirectly and they got proper security at the cost of general population at large. The insistence of Aadhar to have access to various services though not obligatory as per the SC orders,the message has neither reached at various points of Service nor understood the objective of the concept at various levels. Since Mr Nandan Neilkani is associated with various Committees, it becomes easy for him to make Adhar a compulsory requirement to avail of various facilities. The ground reality is that the issue of Aadhar and its insistence has become a money spinning machine for various machineries operating at ground levels. Village officers, notary public etc are making a lot of money in the name of Aadhar exploiting the ignorance of the masses and taking advantage of the confusion on the need for Aadhar to avail of Gas connection, opening of bank accounts, and other KYC requirements where ever to be met.The objective of AAdhar is no doubt laudable, but it should not be made an avenue to raise revenue illegally at various points. The insistence of AAdhar for people who move from place to place for occupational reasons or for domestic reasons is really an irritant and such people though technically eligible for all the facilities offered by the Govt and its agencies should not be deprived of these in the absence of AAdhar card. 70 % of the population are more or less permanently settled and the issue of Aadhar Card should not be a problem and it should not involve any corrupt practices. Aadhar Nandan Nilekani is a Khangress Walla. As if we couldn't see this coming? !!! There is nothing wrong with AADHAR provided there is proper scrutiny at the time of issuing it and it has the backing of the law on the lines of SOCIAL SECURITY NUMBER in USA. Every legal citizen of the country need to have some proof of its nationality. The problem is identifying those who have entered into India illegally. You have mentioned in your message all the problems of Aadhar. Proof of Nationality is from the Voter Card, then there is a National Population Register (NPR) which predates the Aadhar. It is difficult to understand why at all the Aadhar is intruduced, except for Mr Nandan Nilenkeni's persuasive style of marketing and other information that the Aadhar agglomerates and therein lies the real danger. In no other country does one have a single point for ALL data of a person to get accumulated and thus make it easy for fraud to take place. Another major thing in this Aadhar registration is the intention to use it for commercial benefit by those who hold the data (Government) and finally the fact that such a critical type of data is held by forsign companies in some cases, who have taken contracts from the UIDAI - something that I cannot understand at all - as if Indian companies cannot do this work! Two points people are not well informed..
2. SSN in the US does not capture biometrics. Its just a number. The SSN card is still not suitable for primary identification as it has no photograph, no physical description and no birth date. All it does is confirm that a particular number has been issued to a particular name. Quite amazing and brazen . Mr. Nilekani probably was / is probably a tool to machinations of politicians. I do hope that Nilekani wakes up to what he is doing. Instead, Nadan will contest polls on Congress ticket. We need to make sure that he is defeated. Yes, he has made lot of money in this niradhar card and now wants to make more money by entering politicas in corrupt congress ticket.